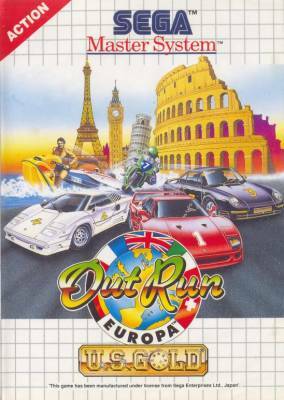 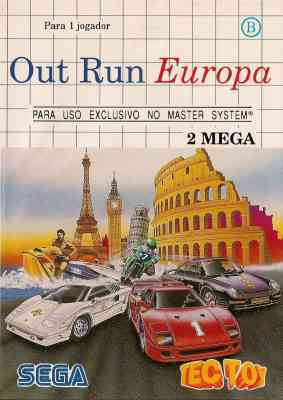 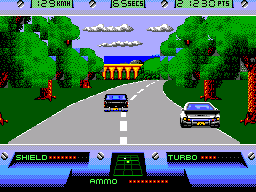 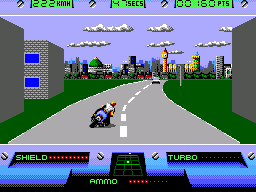 Out Run Europa - Games - SMS Power! 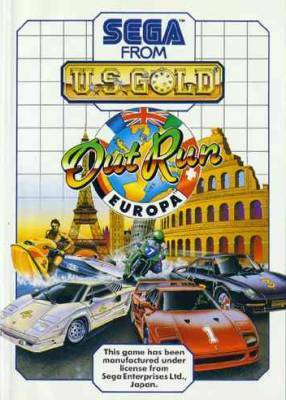 Packaging front has game title at the top, back shows 4 screenshots. 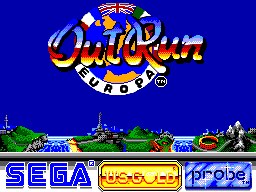 Packaging front has game title at the bottom, back shows 3 screenshots.